There is one review of Flight of Fancy. Flight of Fancy isn't as strong as I thought it would be, and that's a good thing. When I read the notes I was preparing myself for an intense blast of lemon, litchi and yuzu, however when I actually tried this fragrance, the opening was light and sweet, not at all sour or sharp. In fact Flight of Fancy is rather mild. It's peaceful and delicate, a great composition in my opinion. The fruity and floral notes come together nicely. I also detect a subtle hint of musk closer to the drydown which really softens the scent. Flight of Fancy is wonderfully inoffensive. I wish that more people, especially young girls wore this. No matter how much of this you apply, I doubt that it would ever become too overwhelming. This may not be the most unique fragrance you'll ever come across, but it certainly is appealing. It's pretty and feminine and that's all that matters to me. 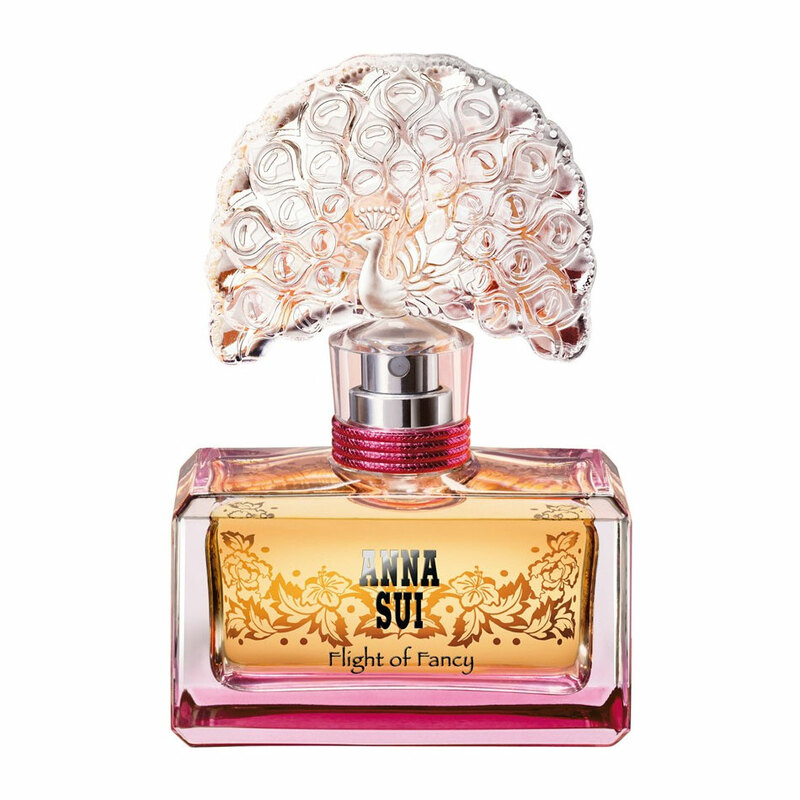 I'll admit that I was shocked to like this seeming that I've disliked most of Anna Sui's other scents. There are no member images of Flight of Fancy yet. Why not be the first?